Reina Gossett, SRLP’s membership director, Laverne Cox and Kye Allums spoke on a panel about trans people in the media moderated by Tiq Milan. 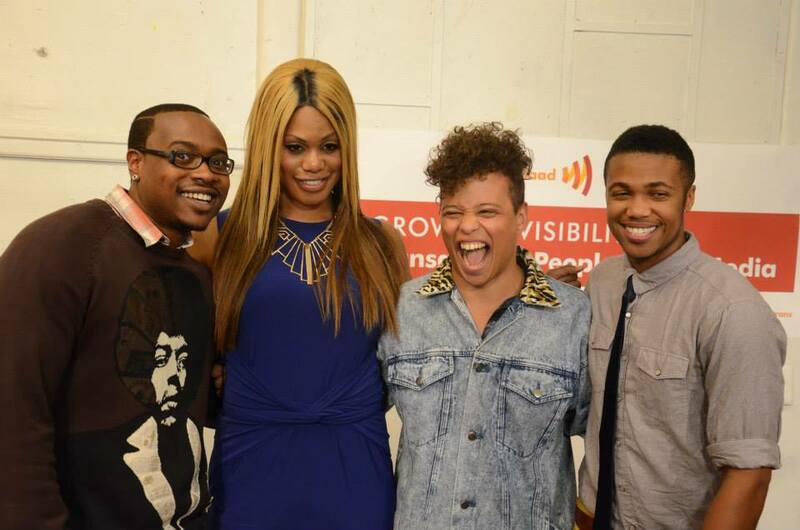 Growing Visibility: Transgender People in the Media was held on September 25, 2013, in New York City. Many trans organizers from around the country taking part in the New Organizing Institute’s Public Narrative Training for Transgender Organizers attended the panel. Read a recap of the panel and see more photos. SRLP Welcomes New Director of Grassroots Fundraising Avi Cummings!